Kohaku fry are in schools like this all around the edges of the pond, and also in the centre of the pond too. Its the best result I've had in fry rearing since I started the project. 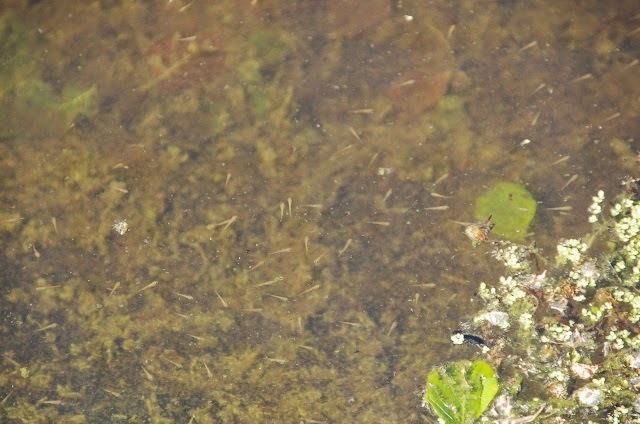 In fact, I'm concerned there are too many in there and the pond capacity will be breached - leading to a loss of fry. I'm keeping a close eye on that, and there's still so much that can go wrong, but it's looking good for a reasonable harvest in around 3 to 4 weeks time. In this picture you can see the fry in a bloom of daphnia. The daphnia make the picture look hazy. 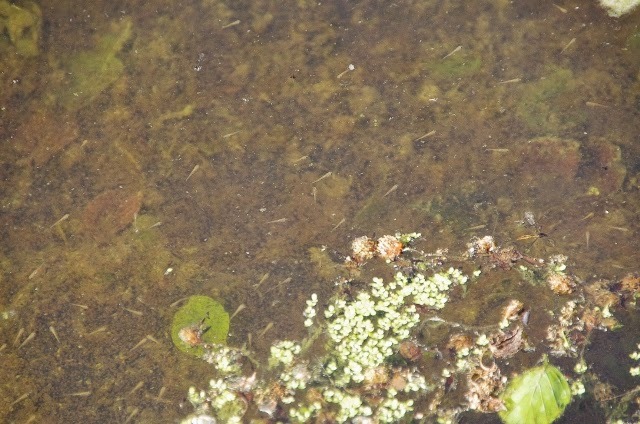 I've given the filtration on the females pond a spring clean, and examined all the females to see which ones are ready for spawning, and I found most are not quite ready. I picked the two that I thought were most ready and have initiated the spawnings this evening. One is a shiro that I wasnt intending to spawn this year, but with the second fry pond outside ready to receive - I'm looking for options to fill it and make best use of the good fry rearing conditions right now. That would give me an option to run a late summer spawning in July / early August with the females I'd intended to go with and gives them a little more time to become ready for spawning.